mentorship session with the fabulous Ariel Renae. that I was able to schedule a mentorship session with her! are creating and making your business you is so important. hope you all are having an awesome start to your summer! p.s. how cute is this doll, Evie?! this frame is from one of my shoots last week...more to come! So great to see you on the other side of the camera. These are beautiful by the way. Can't wait to see the upcoming photos of Evie, she is such a cutie. ooh ooh oohhh! Hannah, you are so gorgeous!! Love these! you picked a great outfit for the shoot too-totally YOU. love these! I have to agree with Kianna, I really love your freckles. How gorgeous! It's always fun seeing photos of the blogger/photographer. Love these pictures Hannah! I saw your reply comment! I was telling my older sister about you going on some trips (I know Allison Whisler) and told her that she commented on your blog, and what she commented. Then my older sister told me that you were like... best friends with Chelsey Bontrager, and I was doubly excited! I love that girl! She is amazing! Girl, these are amazing! Ariel is so talented and you are dropped dead gorgeous! 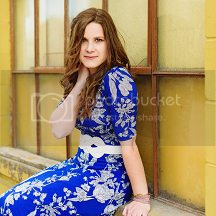 Hannah, you are absolutely beautiful, girl...inside and out! Sounds cliche, but it's so true. :) These pictures are sooo beautiful and I'm so glad that you were able to meet up with Ariel! Much love and I'm super excited to see more pictures from your recent shoots. Have an awesome day, friend!